400 children are infected with HIV every day. 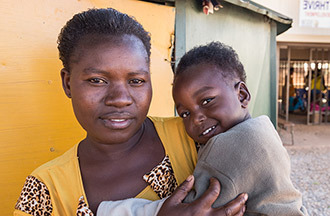 CWA and the Elizabeth Glaser Pediatric AIDS Foundation (EGPAF) are partners for an AIDS-free generation, bringing hope to mothers and children around the world living with HIV. You can help by filling out the CWA Pediatric AIDS Deduction Authorization Form (pdf). List of Contributing CWA Locals - View the Locals that contributed at 100% or above. EGPAF loves to hear from CWA Locals! If you need assistance with planning a fundraiser for EGPAF, would like partnership materials to distribute to your members or community, or have any questions, please contact EGPAF’s CWA liaison, Katie Cunningham, at kcunningham@pedaids.org or 202-448-8451.